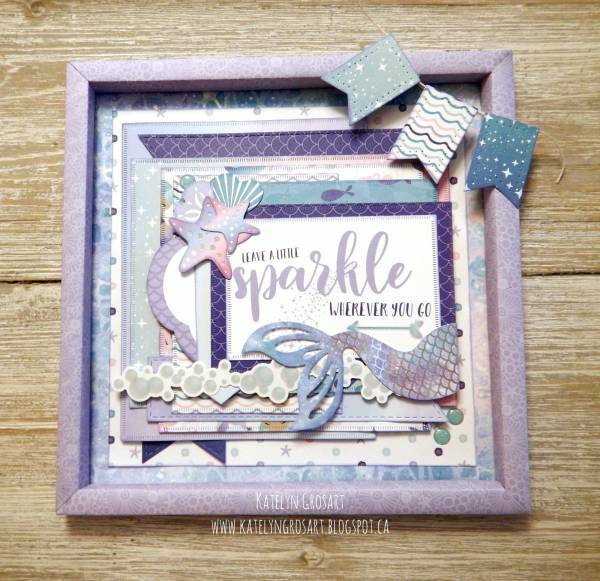 I adore Mermaids, I’m so happy to see they continue to be a big trend! 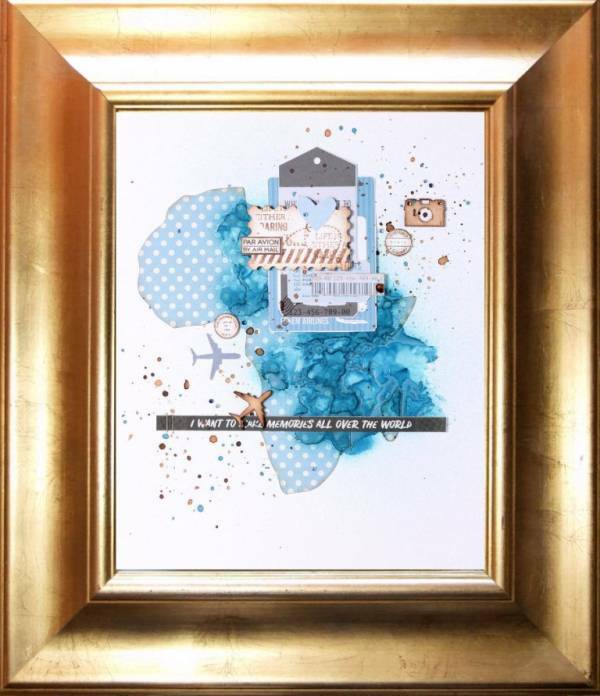 This wonderful framed Mermaid art makes a big splash! 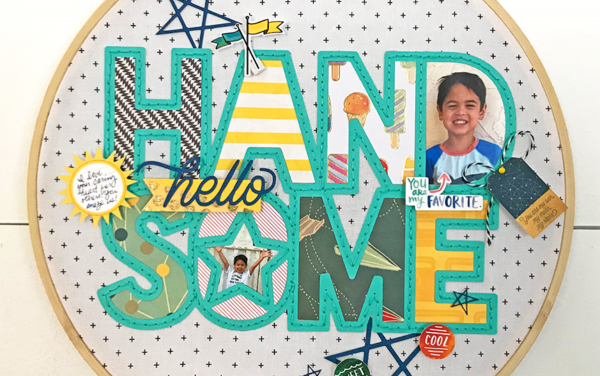 Katelyn used scrapbook papers and embellishments from Creative Memories for a FIN-tastic home decor project. 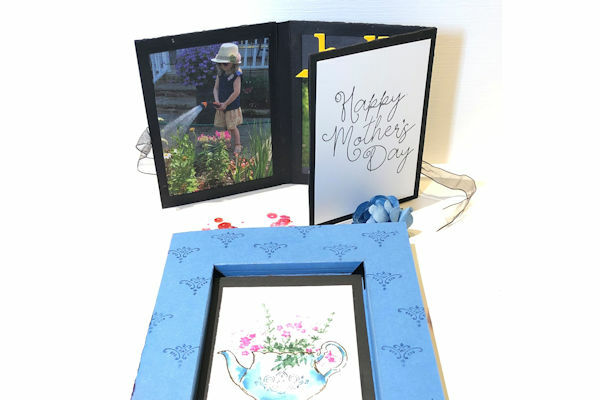 Make a sweet memory with a photo from this Valentine’s Day in a DIY framed project. 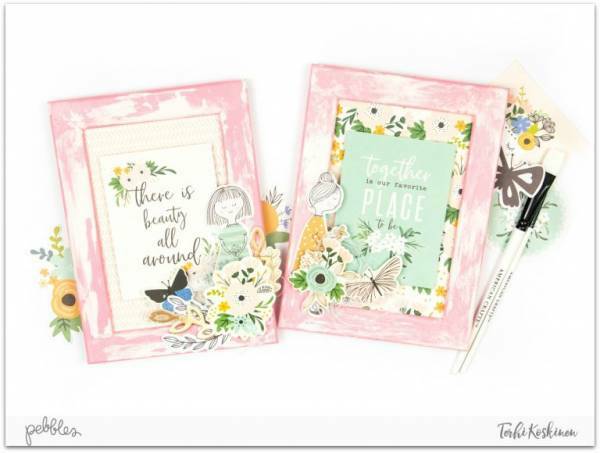 Viktoriya used love themed pattern papers and dies to create this pretty home decor idea. 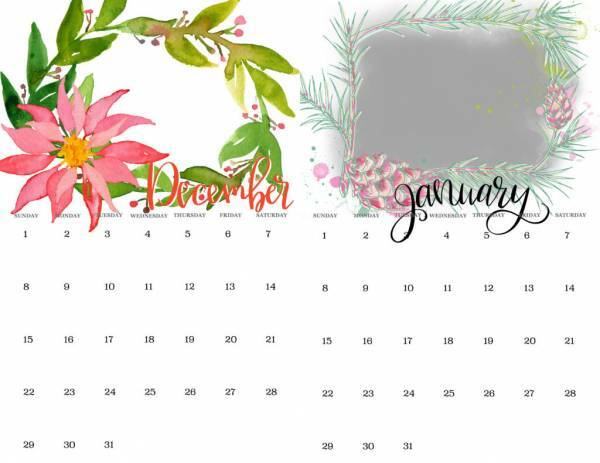 Visit the Canvas Corp. blog for more. 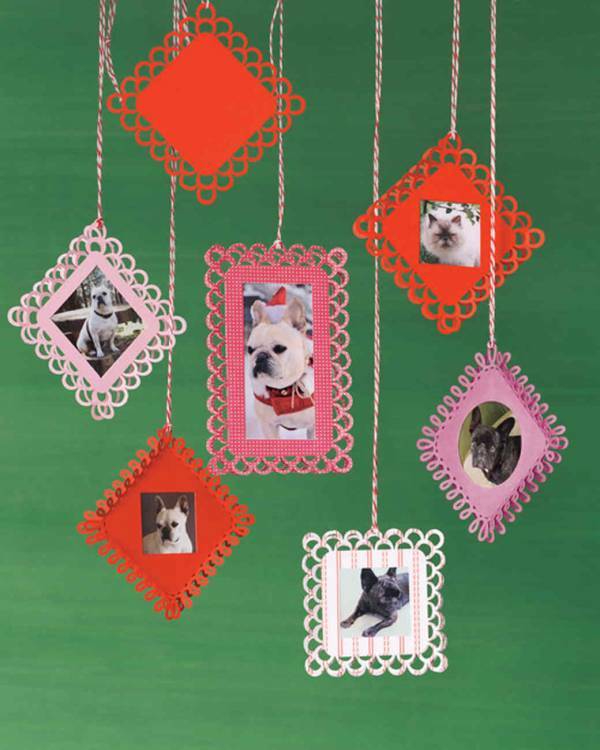 These quick and easy paper ornaments are made with just cardstock and punches. 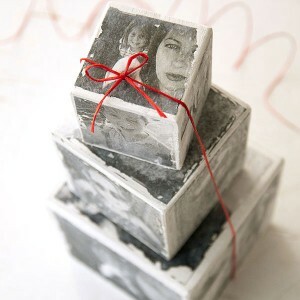 Add some cute photos and you’ve got the perfect decorations for Valentine’s Day. Hang them from your mantle, windows or make a banner for the wall. 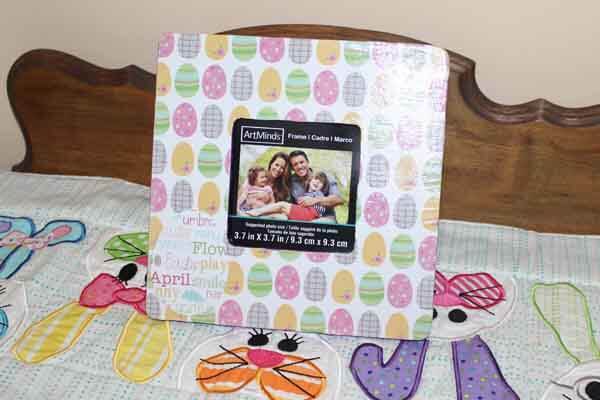 This project is a great off the page scrapbook idea. 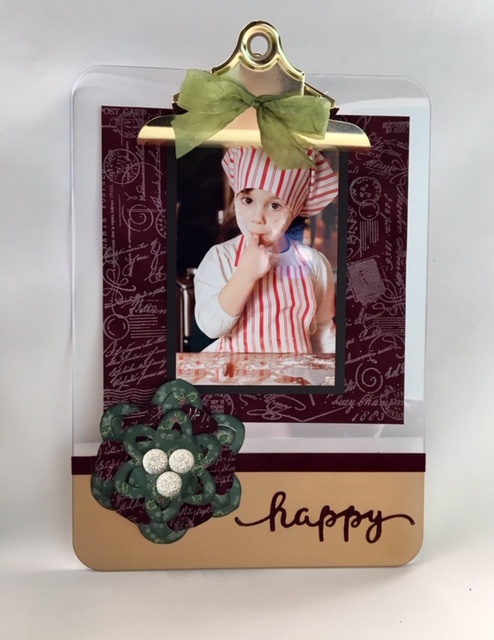 Stamped and heat embossed paper make a great background and the 3D paper flowers add lots of dimension on this fun Photo Clipboard. These would make great gifts too! 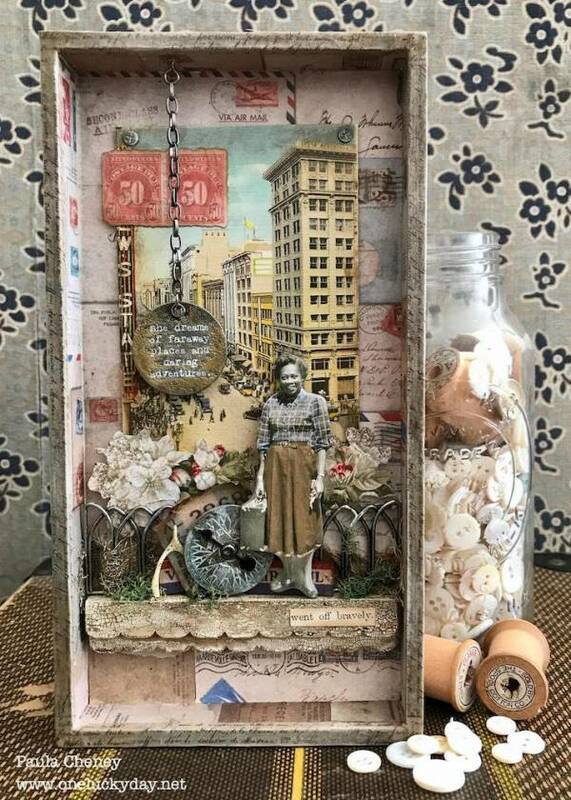 I love seeing two crafts tossed together to create a fabulous mash up. Like this great wall art from Christine who combined embroidery and scrapbooking for her fun hoop design. 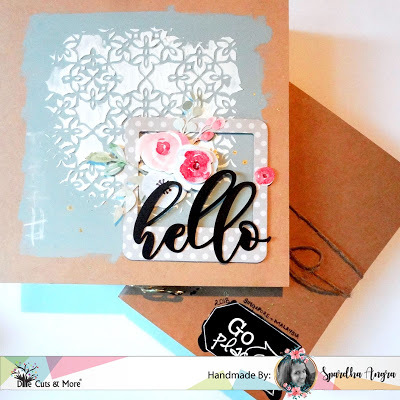 Visit the Silhouette blog for more info.